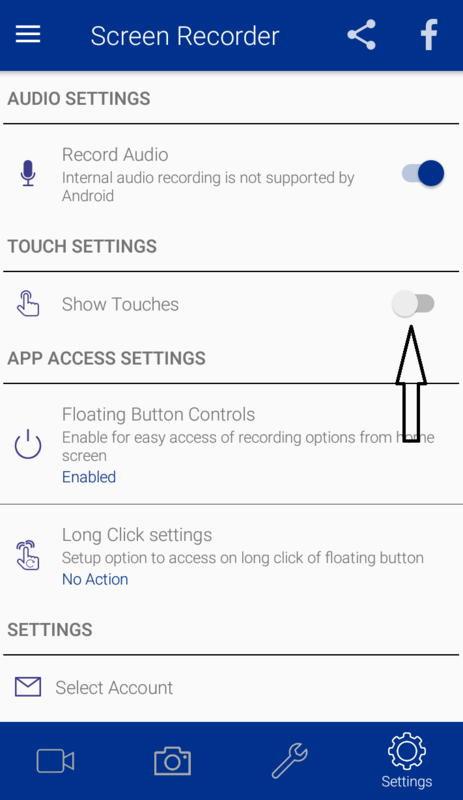 just open settings inÂ Screen RecorderÂ app. 1. Go to "Touch settings". 3. You can enable/disable show touches.